Is this the tipping point for David Attenborough’s reputation? 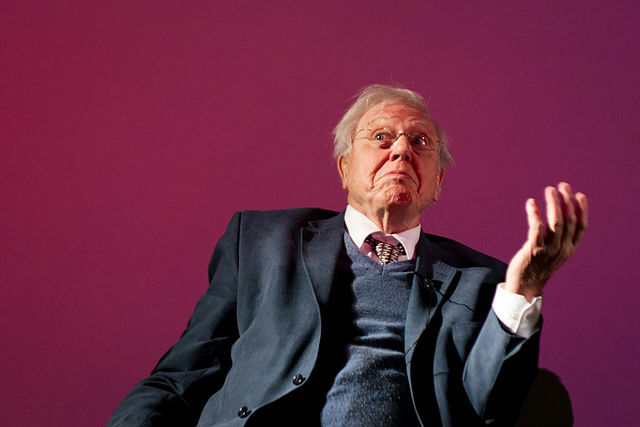 Will anyone see David Attenborough the same way again after the Netflix debacle that is “Climate Change: The Facts”? The Attenborough subspecies may present itself as an impartial scientist but under scrutiny this is revealed to be a chameleon-like illusion that hides the real intent, which appears to be to garner prizes, funds, fame and better dinner invitations. Evolutionarily, Attenborough may be seeking to increase his own status (and resources for kin) at the expense of taxpayers, donors and hapless walruses. David Attenborough, homo propagandis, wears the guise of environmental scientist while spruiking pagan fears, cherry picked evidence and lying by omission. The facts turn out to be half-truths that fit the pattern of exploiting primal fears to create deep psychological spin. He says “we don’t know” but then shows the opposite — associating every kind of bad weather, fire, and storm with man-made emissions even though data shows that these were worse in the past or are caused by other factors. In probably his lowest career point, rumours are spreading that not only did thriving polar bears cause the falling walrus episode rather than coal power stations, but his crew may have killed walruses unwittingly by being there. Paul Homewood argues the team itself scared the walruses by flying drones near the herd and spooking them, or blocking their exit path. Attenborough’s team deny this, but the “trust me” answer doesn’t sit well with past behavior. They didn’t mention the presence of polar bears in the documentary, nor past walrus-on-the-rocks deaths, they blamed it all (improbably) on a lack of sea ice — as if walruses climb high cliffs to escape the open sea, and they won’t say when and where it was filmed. In short, there’s no trust left in the Attenborough-trust-bucket. Let’s pause for one minutes silence to mark the death of a once great reputation. For the record: Fires were worse, are falling, are caused by fuel loads, not temperatures, biofuels kill people and destroy forests. Storms have been ghastly forever, and don’t correlate with CO2. The Great Barrier Reef survived thousands of years of warmer weather, reseeds itself, have genes to cope with CO2 and warmth. Most of the reef wasn’t bleached, and it recovers fast is adaptable, and fish cope with daily pH swings that are larger than anything humans might cause. h/t the GWPF who have been so important in revealing this sociological phenomena. And The Australian. [World Tribune] There was an incident in Russia in 2017 where polar bears were reported to have spooked a herd of walruses, causing them to fall off a cliff to their deaths. Crockford believes this is the event that was filmed by the documentary crew. “The film crew have steadfastly refused to reveal precisely where and when they filmed the walrus deaths shown in this film in relation to the walrus deaths initiated by polar bears reported by The Siberian Times in the fall of 2017,” Crockford said. The film’s message was so bleak it could have been made by Extinction Rebellion, the eco-anarchist protest group which has brought Central London to a standstill. Watching it did fill me with horror, but not at the threat from global warming. It was at the way Sir David and the BBC presented a picture of the near future which was so much more frightening than is justified. …it is a grotesque travesty of the truth to claim that ‘nothing’ has been done: for example, since 1990, UK emissions have fallen by 43 per cent, according to the Government’s Committee on Climate Change. Not only that, Government statistics say 56 per cent of our electricity came from low carbon sources in 2018, our last coal-fired power station will close in six years and the Government has pledged to ‘decarbonise’ electricity by 2030. Rose explains how (among other propaganda) the documentary claims that Orangutans were being evicted from forests by land clearing to make soap and biscuits. Attenborough somehow forgets to mention that Borneo’s forests are also being razed to make palm oil as a biofuel for cars. What’s killing orangutans is not climate change but the climate change industry. What I won’t let go is this growing practice … of trying to link every adverse weather event to climate change. In this, Attenborough’s documentary was a masterclass. If you are going to present a film called Climate Change: the Facts the very least you should be doing is, well, presenting the facts. Well here they are, in two of the areas which made up such a hefty part of the film: wildfires and hurricanes. Are wildfires increasing? …the US Environment Protection Agency (EPA) [data] shows no upwards trend in the number of wildfires in the US over the past 30 years. Take another way of measuring wildfires – the acreage burned, in figure two of this data – and there is an upwards trend since the 1980s. It is little wonder that terrified kids are skipping school to protest against climate change. Never mind climate change denial, a worse problem is the constant exaggeration of the subject. Read more at both The Daily Mail and The Spectator. Remember when climate modelers told us fossil fuels cause longer snow seasons? Albany, snowboarding, earliest snow, WA, 2019. It is the earliest recorded snow event in a calendar year in the state’s history. Statistically, we can tell how anomalous this is by the behaviour of the local wildlife – seen snowboarding in shorts on the driveway in Albany. (Even going across the road). It’s possible this is the longest snowboard ride in the state’s history too. 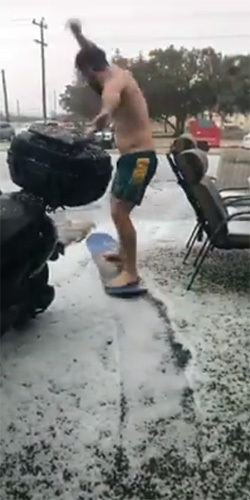 Though technically it is hail-boarding. For foreign readers, WA (Western Aust) doesn’t have a snow season. Last regular snow was probably circa 20,000BC. BOM forecaster Matt Boterhoven said snow was an extremely rare occurrence in April. “It’s exceptional. We’ve only recorded once, in the last 100 years, snow as early as this on top of the Stirling Ranges,” he said. Mr Boterhoven predicted further snow flurries were possible into Saturday morning — something which came to pass overnight. We all know this is weather not climate. We also know that if this was the earliest heatwave of the season it would be “proof of climate change” on the ABC. Bluff Knoll, where the snow is, is a five hour drive from Perth. In WA snow is so rare we have “snow chasers”. Reportedly “dozens” of people are headed there to see the snow. Dozens! The first pledge was to get rid of the carbon tax. The victory was a scorching 63 to 24 seats, or 55% to 32%. 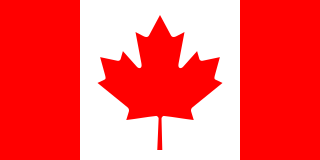 Alberta is a conservative province of Canada with 4 million people. It’s wealthy from oil, gas and agriculture. (It’s not that different to Queensland and WA.). Jason Kenney is on a mission to get the province back from environmental zealots: fergoodnesssake, he even vowed to set up a ‘War Room’ against energy activists. The greens were the main target and the people said “Yes”. He’s vowed to get stalled pipelines built, scrap the province’s carbon tax, and create a “war room” to hit back at anti-oil-sands campaigners. He also pledged to cut corporate taxes and balance the province’s books in his first term. The United Conservative Party’s win will mark a sharp turn in the province’s environmental policy. The NDP introduced a number of stringent climate measures in 2015 that included the province’s first ever economy-wide carbon tax. Kenney has promised to repeal that tax as one of his first policy moves after taking power. In a nutshell, if the Labor Party wins (and that’s looking likely) Australia will pay $25b, maybe $35b to foreigners for paper certificates that claim to have reduced a tiny amount of beneficial gas. This is hard earned money leaving the country so that our foreign minister and PM can sit at better tables at UN Gala Dinners. The paper certificates have a long history of fraud, are often based on good intentions of Chinese or Russian businessman saying they will put out more CO2 but can stop if we pay up. It’s so stupid sometimes people even create pollution just to get paid to clean it up. They’re unauditable, worthless, and based on scientificy assertions that are also unaudited and worthless. It’s a double layered scam. This is mature policy debate in the lucky country. But wait — why’s that number wrong? Exactly Mr Shorten. Just like climate models. You can make any number you want. Assume humidity rises 10km up then ignore 28 million weather balloons that say the opposite. Go Bill, Go. Economic models = climate models = useless.
.@billshortenmp on climate change policy: You and I know this is a fundamentally dishonest debate … You all recognise a scare campaign when you see one. Facebook says it is rolling out a wide range of updates aimed at combating the spread of false and harmful information on the social media site – stepping up the company’s fight against misinformation and hate speech as it faces growing outside pressure. How does Facebook define misinformation? Wait til you hear this: Groupthink = truth? …limit the visibility of links found to be significantly more prominent on Facebook than across the web as a whole, suggesting they may be clickbait or misleading. So that pretty much rules out Facebook spreading the word of whistleblowers, rebels, new theories, suppressed ideas, oppressed people and anything controversial, interesting or not completely predictable. Facebook seems to want to transform itself into a mumsie discussion board of old news and approved memes with all the thrill of an in-flight safety lecture. Thus Facebook will become a mirror of the permitted, official, authorized web. Expect their ratings to adjust accordingly. Facebook’s VP of integrity (?) points out that ‘striking a balance between protecting people’s privacy and public safety is “something societies have been grappling for centuries.”’ But that’s the point. It took centuries but we worked out the worst kind of lies are the ones told by the rulers, and the only antidote to those is free speech. In an information war the deepest pockets are in the Treasury’s pants. Facebook’s solution is some kind of automated groupthink algorithm (like that won’t be gamed) and teams of tens of thousands of moderators with “at least 80 hours training” who are paid “above industry standard”. The story was published on April 7 in The Australian. Doctors are at it again trying to scare people about “climate change”. But all around the world, in every study in every city humans die more from the cold than they do from the heat (and by six to 20 times more). That’s thousands of lives and it happens every single year. Don’t these doctors know anything? Attributable fraction of deaths: Heat, cold and temperature variability together resulted in 42,414 deaths during the study period, accounting for about 6.0% of all deaths. Most of attributable deaths were due to cold (61.4%), and noticeably, contribution from temperature variability [TV] (28.0%) was greater than that from heat (10.6%). Cheng et al. The awful truth that incompetent self-serving doctors forgot to mention was that cooler room temperatures allow viruses to survive longer, which is just one of many reasons the Flu Season is always worse in winter. Break my heart, if “climate change” is real the only thing the docs have to worry about is whether they’ll earn less money in winter. Here’s the real news: The health system needs to be protected from climate-change-doctors. We can’t afford to have medico’s who don’t understand the scientific process, who think “models” provide real evidence, or who will use their positions of trust to falsely scare people for the sake of their own financial gain or political and religious infatuation. We can’t afford to have doctors who don’t understand what the error bars mean on rare events or that correlation is not causation. Who would put their life in the hands of gullible fools who follow groupthink or who get their medical knowledge from watching the ABC? At the very least, we expect these docs would do a basic competent literature search on the topics they profess to lecture us on. Even a freshman doctor straight out of med school should know deaths are higher in winter. That said, there are many skeptical doctors around. Many of my top supporters are GP’s and Specialists. Higher temperatures also provide vectors for disease, especially mosquito-bourne illnesses, with the insects travelling further south than usual. That was on top of more frequent natural disasters putting a strain on the health system, he said. Shame we didn’t have more competent journalists to ask them real questions. Dang statistics tell a different story. Could it be that what causes asthma is not more pollen, but changes to breastfeeding, pollution, glyconutrients, diets, antihistamines, histamines, Vitamin D, parasites, cleaning, baby wipes, cesarean sections, less farming, less farm dust, less dirt, and adding preservatives, antacids and antibiotics and other things that kill off our gut flora? Tony Abbott merely states what no real scientist could argue with. 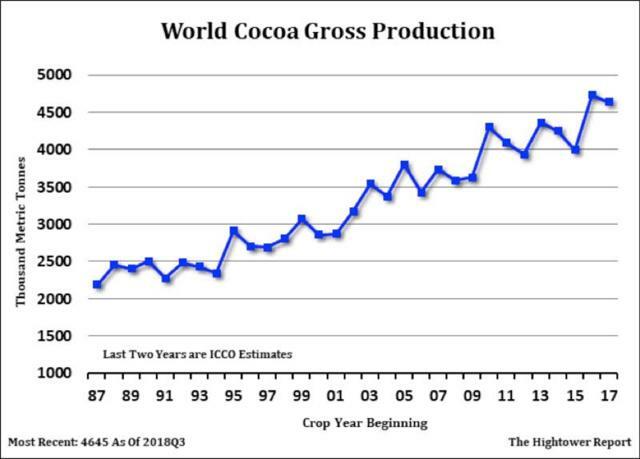 Things are not quite as settled in climate science as people say. For this tiny deviation from the permitted line he is isolated and depicted in a headline as “questioning science” when he’s really just questioning propaganda lines. The editors of both AAP and The Australian could have chosen a different headline: Abbott declares “we only have one planet”. But in headline-world, which is often the only line people will read, Abbott is made out to be saying something risky. Imagine, I am Spartacus, if every single conservative politician said “of course — Climate science isn’t perfect.” But almost none of them have the balls. Tony Abbott has questioned the “so-called settled” science about climate change, a month after dropping his view that Australia should pull out of the Paris climate agreement. The former prime minister insisted he was a realist when asked about his position on climate change during his election campaign launch in Manly on Friday. “The so-called settled science is not quite as settled as people say, and that’s my position,” he told reporters. Despite this questioning, Mr Abbott said he does believe climate change happens and that mankind makes a contribution. “We should do what we reasonably can to reduce emissions,” he said. It’s hard to believe with statements so banal and ordinary are worth a mention, let alone a headline. But such is the paralyzing grip of fashion and religion in Australia. The IPCC’s top scientists can’t predict the climate on a local, regional, or continental scale, 98% of Climate Models cannot explain why global warming slowed for years, models get the core assumptions wrong – the hot spot is still missing, (that’s the only fingerprint they said mattered, right up until they couldn’t find it). They can’t explain the pause, the cause or the long term historic climate movements either. Measurements of satellites, cloud cover changes, 3,000 ocean buoys, 6,000 boreholes, a thousand tide gauges, and 28 million weather balloons looking at temperature or humidity can’t find the warming that the models predict. In the oceans, the warming isn’t statistically significant, sea-levels started rising too early, aren’t rising fast enough, aren’t accelerating, nor are warming anywhere near as much as they predicted. Antarctica was supposed to be warming faster than almost anywhere but they were totally wrong. The vast Southern Ocean is cooling not warming. The only part of Antarctica that’s warming sits on top of a volcano chain they prefer not to tell you about. Some scientists are behaving badly: hiding data, declines, history, adjustments and methods. Thousands of other scientists are protesting all over the internet. Tony Abbott is merely saying what most engineers and geologists, and half of the worlds meteorologists, and climate scientists would say. [Amanda] Knorr co-founded a company called Mantria Corp., which with the help of a slick-talking Colorado “wealth advisor” raised millions for a supposed clean energy product called “biochar.”Their pitch about producing biochar, however, turned out to be completely baked, according to prosecutors, and eventually proved to be a giant Ponzi scheme. Knorr was also sentenced to five years’ parole and ordered to pay $54 million in restitution. She so far has paid $10,000 through wage garnishments, according to prosecutors. The Clinton Global Initiative, run by Bill and Hillary Clinton, link to Mantria on its website, ambiguously praise the “committment” and value it at “$600,000″?” Did they fund it, or are we just meant to think they did? There are many details and plans of how carbon sequestration would enrich the soils of Africa and cool the world on that site, but there’s only one progress report: This commitment was reported unfulfilled.